Wunderments: Deutschland, here we come!! Some of you may already know my husband hails from Germany. I visited once with Ben (sans kids) back in 2006 and it was amazing...although I'm not a fan of air travel. We won an all-expense paid trip...no, kidding, I'm not that lucky. Actually, Ben's father bought us all tickets to come and visit. He met Zoe once during her first Easter (she was just a baby) and has yet to meet Jaida. I would rather him fly to the States but he also wants his mom to meet her great-grand kids as well as the rest of his family. I can't complain. We desperately need a vacation and not only is the destination awesome but it's free which is perfect because, well, we're broke! Ft. Meyers, Florida straight through to Düsseldorf, Germany...still freaking out about the long plane ride. My last shipping day in the shop will be June 25th so be on the lookout for new stuff as I scramble to make a little extra spending cash for our trip! I love Germany...it is a breathtaking country and we were this close (holds tip of thumb and pointer finger 2cm apart) to moving there. All of our poses are the same...we need to be more creative this time. See that castle? It was so amazing and what a workout to make it down there (they drove us back though, whew)! We got another workout sprinting up the (500?) dizzying, spiraling steps to the top of the Cathedral ( Kölner Dom )...I could stare at that architectural work of art for hours studying the beautiful details of it. Speaking of spiraling, look how that tree grew in spiral-formation (Ben's pretending to twist it). The cute baby in striped stockings is Emma, Ben's niece and the cute baby in blue is Anskar (love his name), his cousin Nicole's baby boy. Can't wait to see how they've grown and meet the new kids! Oh, and yes, nothing special about Walmart but that one sold beer in an outside tent...so funny! We also got to take a quick 24 hour visit to Paris. When the bus dropped us off for an hour to do whatever we wanted I was actually afraid for my life.....long story. Anyway, that's it! So excited!! Just need a tranquilizer for the plane ride there and back and I'll be set! Have a wonderful trip my dear!! thanks so much knockknock...hoping to come back relaxed and inspired! Thank-you Irit for your sweet, well-wishes! Can't wait to do the small things in Germany like go into gas stations and grocery stores...oh how I love culture! If you love Germany, you will sure enjoy The Netherlands as well!! Just plan daytrip to our lovely country and not just for tulips, wooden shoes and windmills but go and see the nice architecture in Amsterdam or any other town with old canals. Have a nice time in Europe! April, you have no idea how badly I want to see the Netherlands!!! I hate flying and we will be in Europe for at least 2 and a half weeks. I want to cram as much as I can into every moment I'm there! I'll be talking to my husband about it tonight! i am NOT a fan of flying either, but i have the ANSWER- Xanex! Your Dr. will give you a script, i just had to call & explain to them my fear. I've flown to China & Hawaii twice & don't remember any of the flights! It's awesome! Not sure when you're leaving, maybe i'm too late, but next time... :) I'm sure it will be wonderful, have fun! I hope you and your family have a safe and fantastic trip!! I have this FEAR of flying and too bad I couldn't take anything because of the kiddos but I survived and you will too! 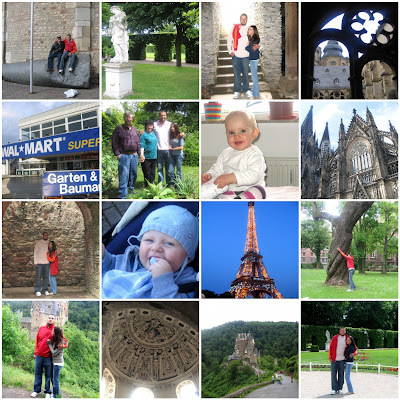 I was in Germany on business 7 years ago and I had so much fun, I would love to go back. I still need those apples when you get back! hope you will update us soon on your trip & get that shop of yours filled- i SO want one of those cuties! !